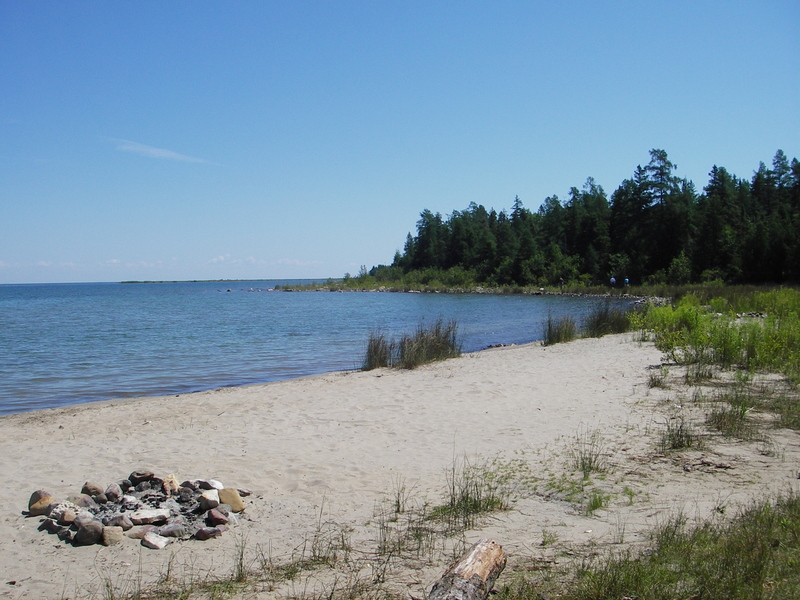 DRUMMOND ISLAND, MI — The rocky, forested landscape and clear waters that Drummond Island has for decades made it a mecca for anglers, off-road enthusiasts, boaters and nature lovers. But change is in the wind for this 126-square-mile northern Lake Huron island, which once was a haven for hunters, too. A report issued in June by the Michigan Department of Natural Resources and 20 stakeholders calls for resuscitating the island’s hunting heritage, among other things. The report and its recommendations have been a year in the making. “What the group wants to do is increase the quality of hunting on the island,” said Terry Minzey, the DNR’s Upper Peninsula Regional Wildlife supervisor. Minzey has been coordinating the island discussions about how to manage the almost 30,000 acres of state-owned land that makes up 57 percent of the island. Those lands were purchased in 1942 with the proceeds from hunting license fees. But hunting activity has been in decline for a decade, and the reasons go beyond lessened interest on the part of youths. In fact, many say the island has been overhunted. It has too little law enforcement to keep a lid on poaching or the illegal ORV use which interferes with hunting activities. That, in turn, has made Drummond Island less attractive to downstate hunters who once filled the lodges and cabins each fall. “We used to be open for business in November, but we’re no longer open because the business has dropped off,” said Jim Kelley, owner of the North Haven Gift Shop on the island. Kelley represented the Drummond Island Tourism Association in discussions this past year. His organization, along with others, wants the island to again become a quality fishing and hunting destination, just as it is for hikers, kayakers, fossil collectors and off-roaders. Kelley’s business isn’t the only one to suffer. Minzey said fall lodging on the island has dropped off dramatically. Many lodging operators have noticed the change. The question has become what to do; how to elevate the quality of the hunting and fishing experiences here? The 73-page report, which is available online, covers a lot of ground from hunting and law enforcement recommendations to those for controlling ORV use. It also presents recommendations to build hiking trails and camping platforms on the shoreline that can be used by hunters or kayakers. Hunters will be interested in rule changes being proposed. They include requiring a special free tag to hunt the island, requiring hunters to report their kills, restricting deer kills to bucks with no less than three antler points on one side, eliminating baiting and tree stands during the firearm season on parts of the island, and creating a walk-in zone for hunters in which motorized vehicles would not be allowed. “That’s for the guy who wants to experience walking in a couple of miles to get a crack at an older buck,” Minzey said. Older bucks are a goal for a lot of the recommendations. Islanders say they want to see big bucks once again. Another recommendation is for a conservation officer to live on the island. It is common knowledge that the island is lightly — if ever — patrolled. Calls go out around the island when DNR officers cross over from DeTour on the ferry. 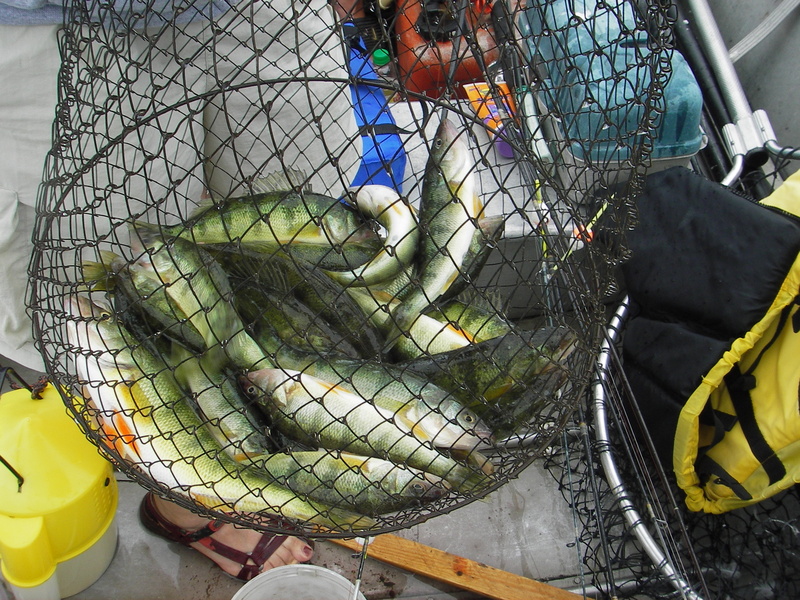 Still other recommendations involve rebuilding the fishery by establishing a trophy perch and pike management. Intensive forest management to improve grouse and woodcock habitat also is recommended. So is increasing hunting and fishing license fees, which were last raised in 1997. “We were unanimous on all the recommendations,” Kelley said. The Drummond Island report will be incorporated into the DNR’s comprehensive resource management plan for the region, Minzey said. It then goes out for public comment and to the state’s Natural Resource Commission for approval where necessary. That step won’t happen very soon, according to Minzey, given staffing shortages within the agency. So, for those downstate who want see things change, the best that can be said is there is a light, fresh breeze blowing in from the north. Those that remember the good old days there just might want to stay tuned. This entry was posted in Uncategorized and tagged Camping, DNR, Drummond Island, Fishing, Hunting, Kayaking, Lake Huron, Perch, Pike, Trail. Bookmark the permalink.